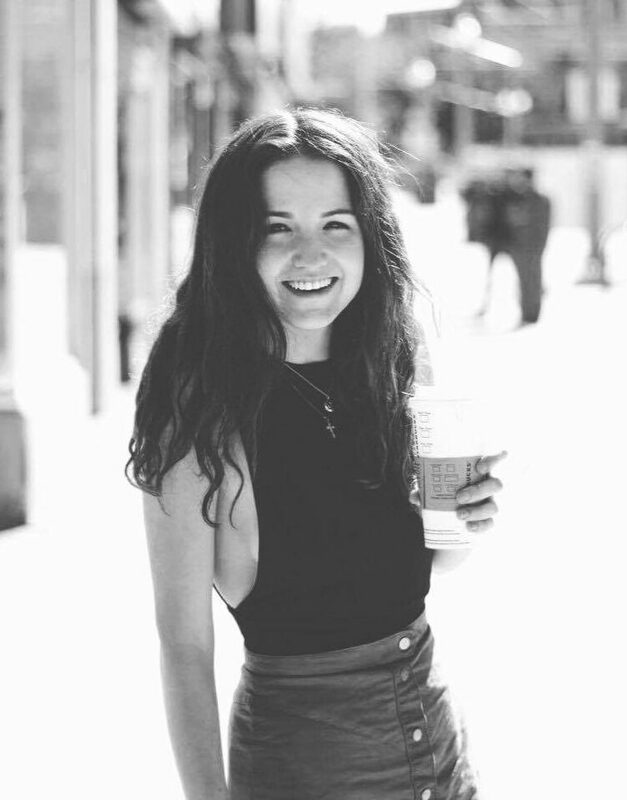 It’s another WIAW over here as I blog at midnight after a crazy day I’m excited to share with yall! Breakfast. 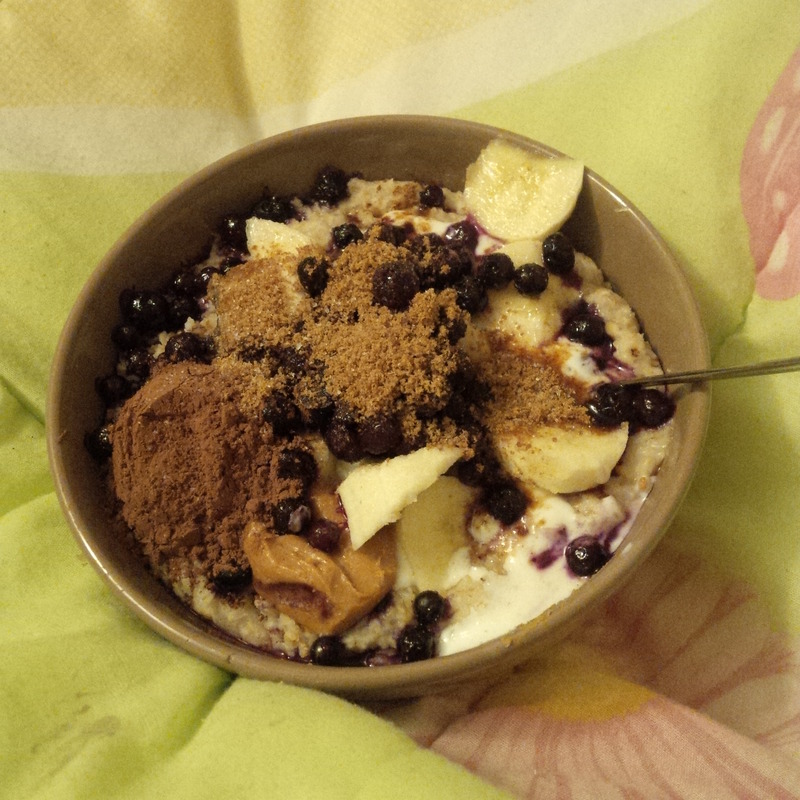 I woke up at 7 am this morning and got all my things together for the whole day and made oatmeal that I forgot to take a pic of, but it was topped with blueberries, a bit of pb, goat yogurt, a few dates and cacao. Yuuuummmm. Lunch. Work was really tiring for some reason today! My shift was 9-3, and at the end of it I nommed some more oatmeal from work that my like favourite worker ever, the most amazing cook Sheena made me (she makes it for me every day). Pre-Workout. 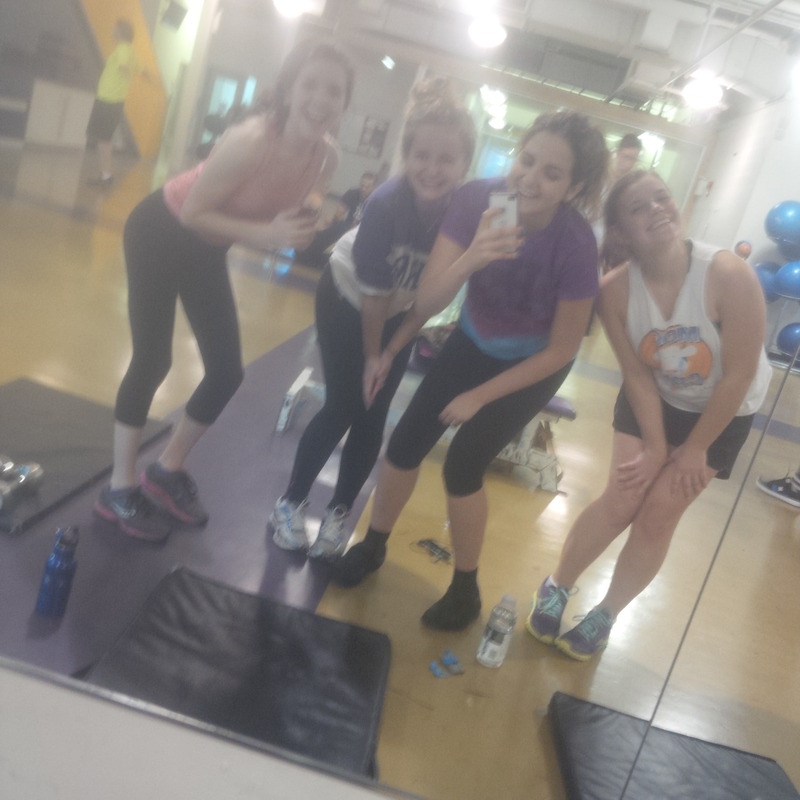 I bussed to the mall very quickly because I’m out of Quest bars so I picked up a few, ran a couple other errands, and then bussed to campus where I met up with Mary, Maddie, and Michelle to for a nice 45 min workout at our amazing gym! Before which I ate a DCC quest bar. I did 20 minutes on the bike, and some core work and it didn’t feel compulsive in the least. Dinner. We didn’t have a lot of time between our 7pm class after our workout, so we grabbed Subway on the way back to Mary’s amazing dorm apartment to shower and change. 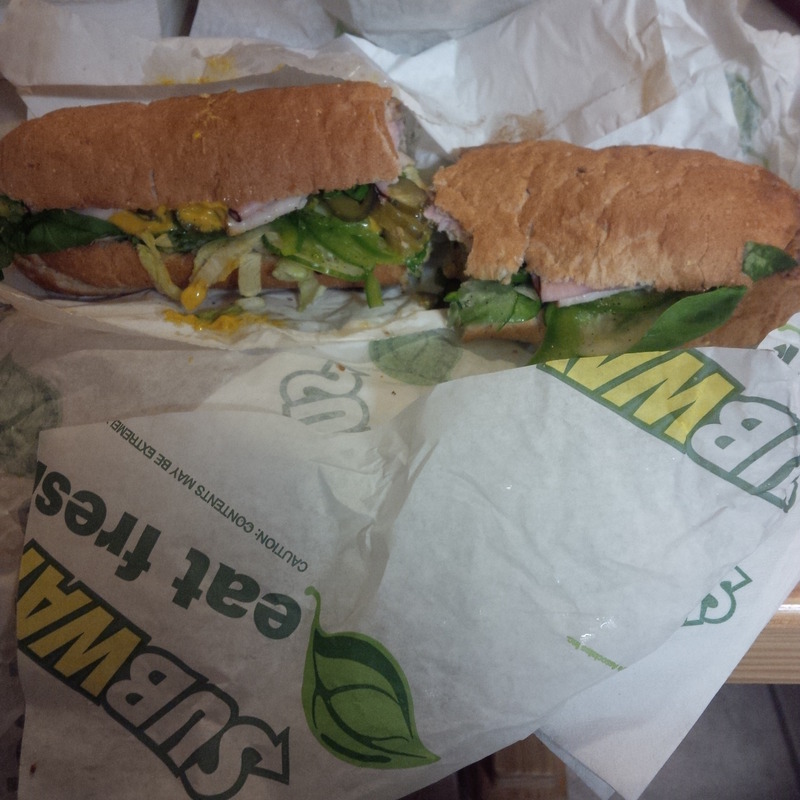 I had a footlong ham and turkey with lettuce, pickles, spinach, green pepper, cucumber, and mustard. Snack. After our three hour theology lecture, Katrina and I bussed home together and once home I knew I needed to get some more cals in! Sometimes, I really do think this is what recovery is, beyond early stages. Yes it’s about learning to recognize cravings and hunger, but most of the time those are non existent for me. But I’m obviously very good at recognizing when I simply need more food– following through is the challenge. 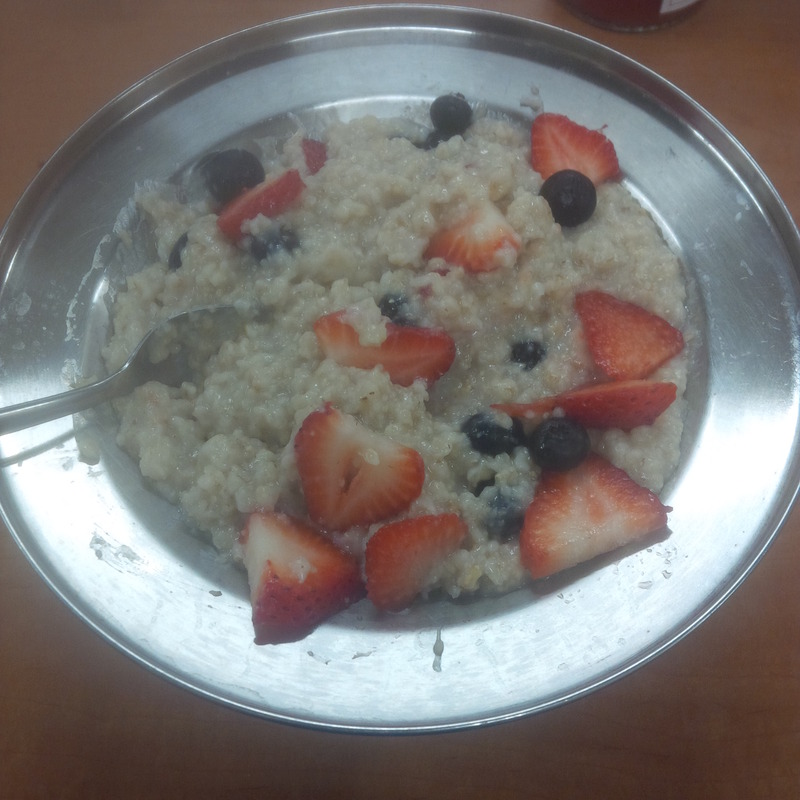 I settled on some oatmeal, with basically the same combo of toppings and my brekkie. There you have a full day of eats! It was a beautiful, blessed day and I woke up this morning and I am alive and there’s a big, beaming world out there and those are three things I’m thankful for.